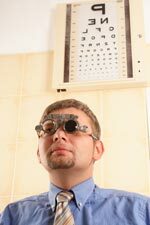 Learn more about... 20/20 Eyesight - Not Perfect! 3D Art & Magic Eye Pictures 3D Vision & Depth Perception Binocular (Two-Eyed) Vision Blurred Near Vision, Farsighted Blurry Vision & Eyestrain Children's Eye Tests & Exams Choosing an Eye Doctor Convergence Insufficiency Eye Doctors & Eye Exercises Eye Muscle & Lazy Eye Surgery Eye Tracking & Eye Teaming Differences: Eye Doctors Finding an Eye Doctor Eyesight, Vision, ADD/ADHD Headaches, Eyestrain & Vision Help for Homework Wars Gifted Learning Disabled Lazy Eye: Crossed Eyes Lazy Eye: Scientific Research Lazy Eye: Wall-eyed, Walleyed Lazy Eye: What is Amblyopia? Motion Sickness & Dizziness Optometrists, Ophthalmologists Reading Below Grade Level Reading, Eyesight, Visual Skills Brain Injuries-Vision Problems Brain Injury - Hemianopsia Brain Injury - Rehabilitation Vision, Dyslexia, Dyslexic Vision Exam, Autism, Autistic Vision & Learning Disabilities Vision Therapy Research Vision Therapy Testimonials Visual Health Vocabulary What is 3D Depth Perception? What is Eye or Vision Training? What is Double Vision? What is Strabismus? What is Vision Therapy? Allentown Vision Therapy provides comprehensive eye care and Vision Therapy for all ages. We see children who are having trouble with their school work because underlying visual skills issues (which can be treated) are at the root of the problem. We also help children with crossed or uncrossed (outward turning) eyes and/or lazy eyes. We treat children and adults with acquired or traumatic brain injury (TBI) who are in need of visual rehabilitation. In addition, people with coordination and balance issues or athletes who want to improve their performance come to Allentown Vision Therapy to gain optimal function and/or fine tune their visual system. Visual Rehabilitation for Patients with Special Needs, such as Developmental Delays or Traumatic Brain Injury (TBI), including Autism, Stroke, Whiplash, CP, MS, etc. There's more to healthy vision than 20/20 eyesight! affect reading, learning, school and sports success. Member, Optometrists Network & Find an Eye Doctor. Publisher of What is Lazy Eye?, What is Vision Therapy?, and many other Eye Care and Visual Health Patient Education Web Sites.